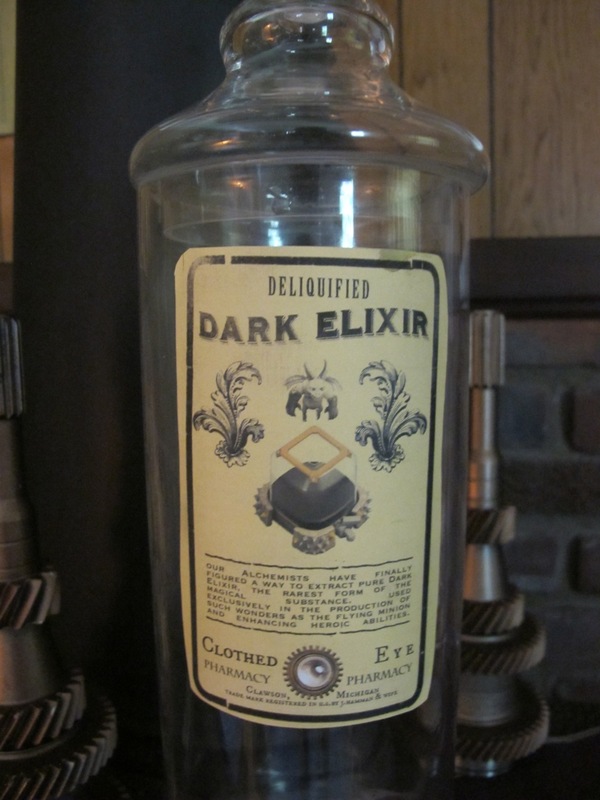 Deliquified Dark Elixir apothecary jar. Clash of Clans meets steampunk in this great mashup glass jar. Jar is approximately 17″ tall with lid and featured two sided ‘aged’ labels with a dark elixir tank and minion image direct from the game Clash of Clans.